Gone are the days of the frozen or the surprised botox look and the recent trend has definitely moved towards the more natural look. 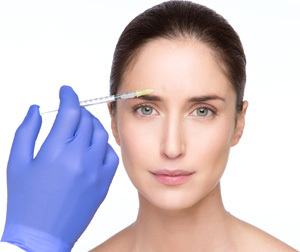 Dr Milojevic, through his unrivalled experience with botox, has been developing his own new botox techniques and has also developed extremely effective “baby botox” treatments, which can achieve great results with an even more natural feel. So what is “baby botox” exactly? Baby botox is a term which was first coined in the USA, and it was in part because of Martin Scorsese the movie director, who complained that too many of his actresses were “frozen” and unable to act. Many of these actresses started seeking botox treatments which work, are more natural and wear off more quickly in time for their next part on the big screen. The baby botox treatments involve tiny doses of botox which are injected into the usual areas. The results are still very similar to when normal doses are given, but more movement is present and it does wear off more quickly. The patient may have to return for the next treatment after 2 months but in time however even with baby botox, the results will last a lot longer. Baby botox basically gives our patients the choice. If they want the normal dose treatment, Dr Milojevic will use his unique techniques do achieve very effective, long lasting but still very natural results without the frozen look. Baby botox however, can be used for those patients who want to be even more minimal and more natural, or those who just don’t want it to last too long.